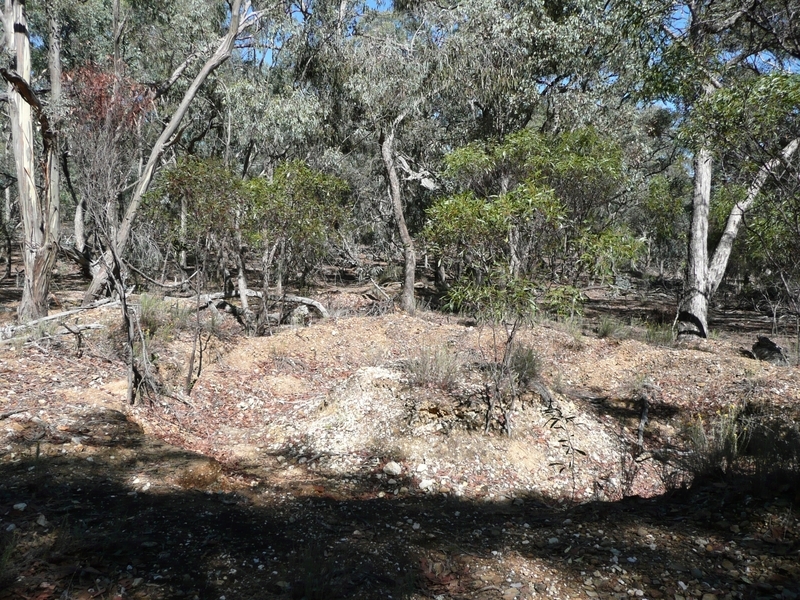 The Raggedy Lead Gold Mining Precinct is an excellent and unusual example of shallow sinkings for alluvial gold. The site consists of the relics of mines and campsites including the remnants of puddling machines and fireplaces. 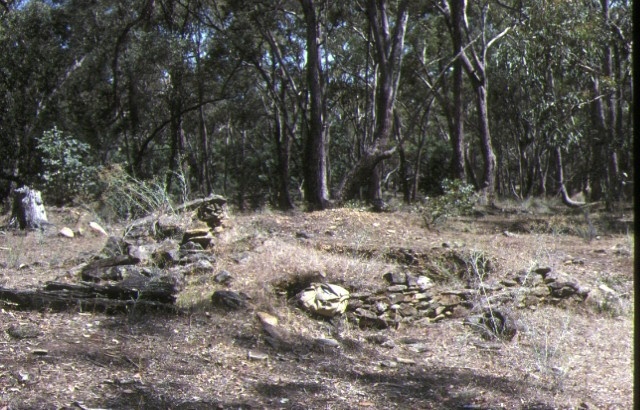 The precinct displays evidence which, while it is mainly typical of the prevailing early gold mining technology of the box-ironbark forests of central and western Victoria from the 1850s, is also unusual for its stone retaining walls for mullock dumps. The Raggedy Lead Gold Mining Precinct is of historical, archaeological and scientific importance to the State of Victoria. The Raggedy Lead Gold Mining Precinct is historically and scientifically important as a particularly fine and essentially intact example of a site associated with the earliest forms of gold mining which, from 1851, played a pivotal role in the development of Victoria. Raggedy Lead, although not a particularly rich site, was a significant component of the historically important Pyrenees diggings and is also important for its low level of physical disturbance since the nineteenth century. The Raggedy Lead Gold Mining Precinct is archaeologically important for its potential to yield artefacts which will be able to provide significant information about the cultural history of gold mining and the gold seekers themselves. Raggedy Lead Gold Mining Precinct, Percydale Historic Reserve, (12 kms north west of Avoca), Pyrenees Shire Council. 1. All of the Crown land including all of the alluvial mining relics within a 500 metre radius of the point with Australian Map Grid co-ordinates E087 N977 on 1:100,000 map sheet number 7523 Beaufort.